This volume of essays, written when the Arctic Council was celebrating its twentieth anniversary under the theme of “One Arctic” and the leadership of the United States’ second chairmanship, discusses the evolution of the Council as a political forum. Tracing key developments in the formation of the Council, identifying recent directions in intergovernmental policy and decision-making, and assessing how the Council engages with its membership, the contributors offer important insights into how the recent North American chairmanships by Canada (2013-2015) and the United States (2015-2017) identified and articulated new pathways for Arctic cooperation. Significant changes in the Arctic over the past decade make it necessary to reassess some common assumptions about the nature and direction of the Arctic Council and how it fits within the larger arena of international relations. 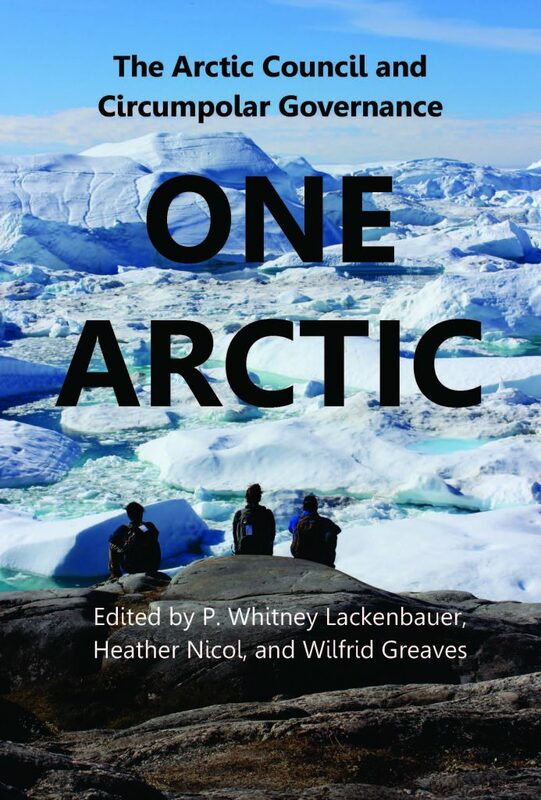 As the chapters in this book reveal, the idea of “One Arctic” can serve as a lens through which to interrogate more closely how Arctic states, Indigenous rights-holders, other stakeholders, and the Arctic Council itself produce and transform divergent Arctic imaginaries. Whitney Lackenbauer, Heather Nicol, and Wilfrid Greaves, eds. One Arctic: The Arctic Council and Circumpolar Governance. Ottawa: Canadian Arctic Resources Committee, 2017. xii, 218 pp.